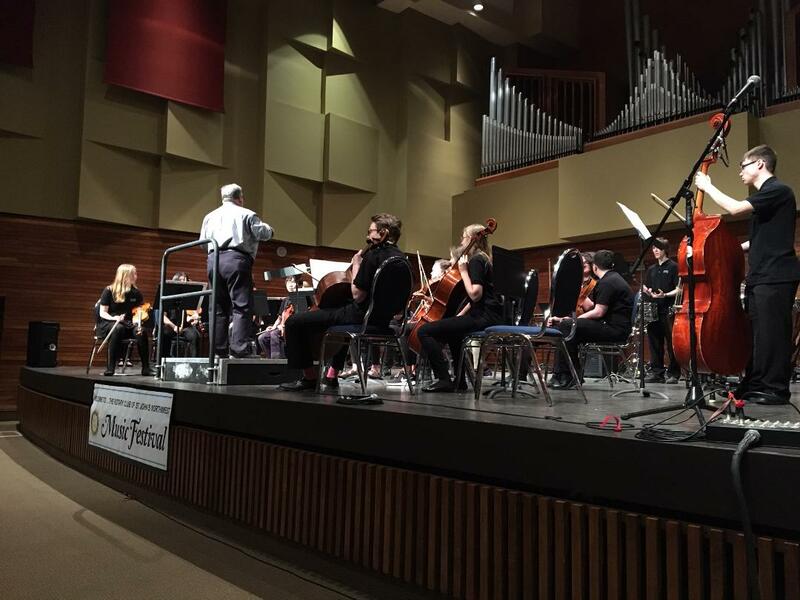 Sounding off about the 30th Annual Rotary Music Festival! 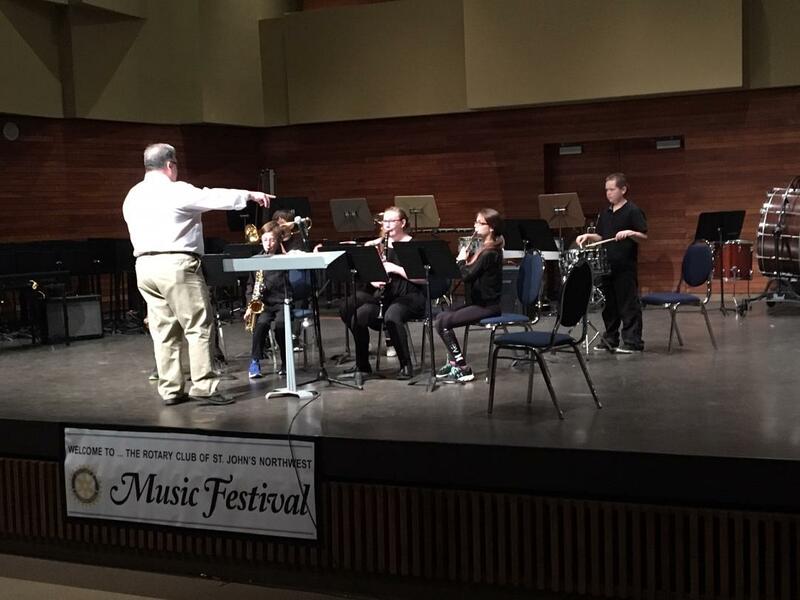 Yet again, the Rotary Music Festival provided extraordinary learning opportunities for young musicians in the Province. The 2018 Rotary Music Festival was our 30th one; and what a fantastic one it was! The Rotary Club of St. John’s Northwest is very proud of this hugely-successful club project. New ideas and initiatives are added annually to keep it fresh, current and exciting. In the festival world, our non-competitive music festival is seen as one of the best in the country for quality experience, value, and superb organization. Visiting clinicians write rave reviews and are happy to be invited back. Festival 2018 ran for 10 days and 8 nights. 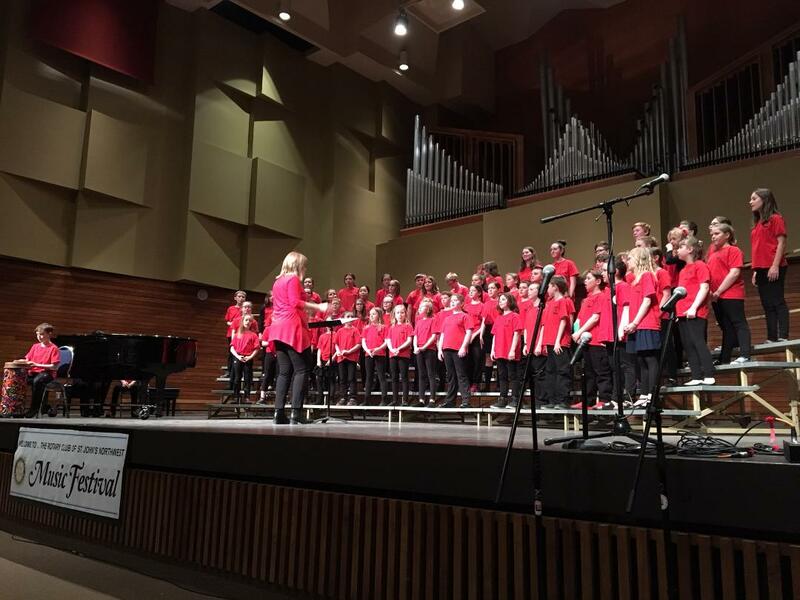 It provided 6 international-standard expert clinicians who offered 44 choral clinics, 18 jazz band clinics, and 40 concert band clinics to choral and band groups from the Northeast Avalon, Central and Western Newfoundland. Between 25 and 30 school music programs took part, as well as some community-based music groups. 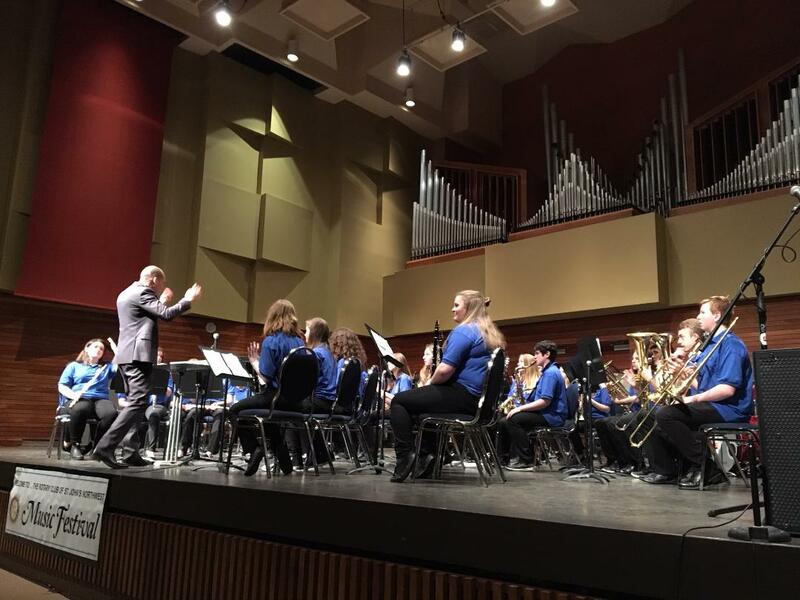 In addition to the over 100 clinics that were delivered, the Festival featured 8 evenings of choral, jazz band and concert band performances at Holy Heart Auditorium between April 24 – May 3. Two new features were added to the Festival this year. 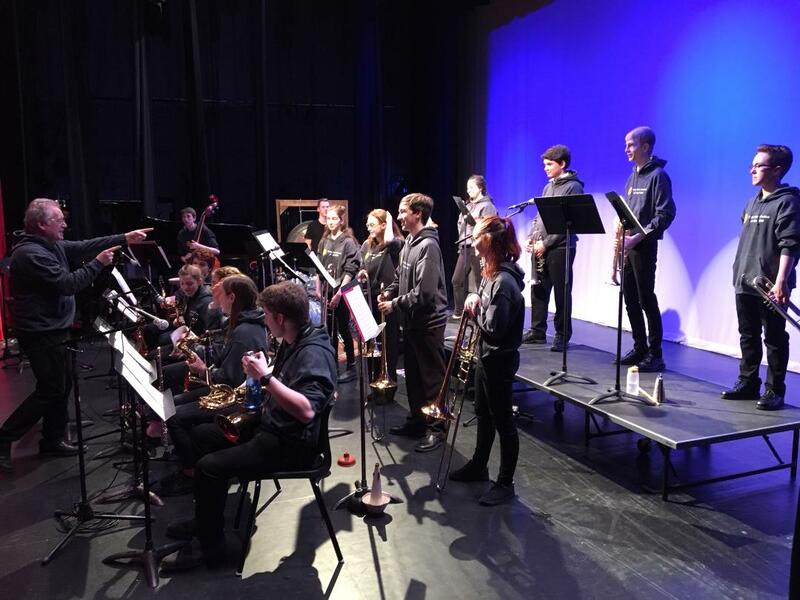 Our Rotary jazz band, an auditioned group brought together for a few days during the Festival, accepted the added assignment of a 50-minute webcast jazz demonstration performance, made available to all music programs in the province (https://youtu.be/BhNNi9MMl-s ). A second new feature was an award created to honour the memory of long-time committee member and Festival supporter, music teacher Jamie Wilkinson, who died last year. 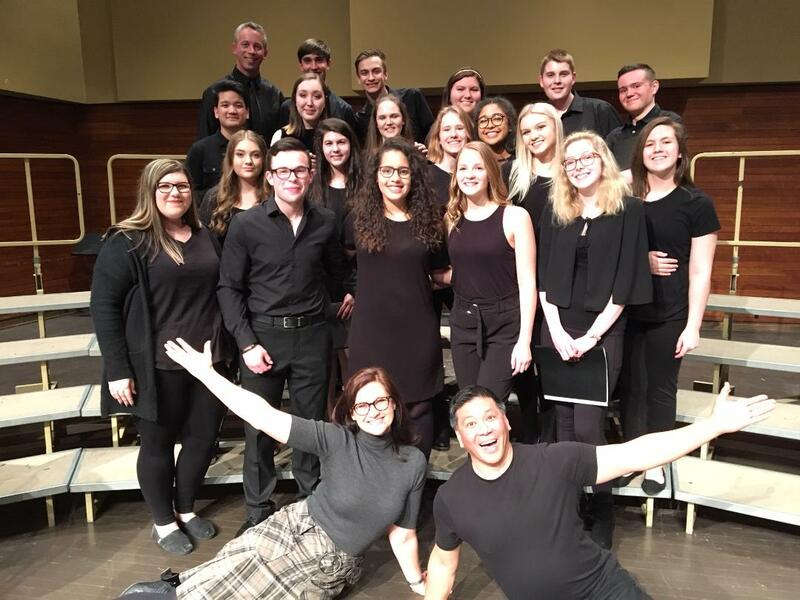 The award, a $1,000 gift certificate for music store Long and McQuade, was presented to the school music program judged to best demonstrate pride, passion and perseverance in their musical performances and stage deportment. The winner was the Waterford Valley High School music program, under the leadership and direction of Susan Evoy. Approximately 30 members of the Rotary Club of St. John’s Northwest donated evening time to emcee concerts or to sell tickets at performances. Three Rotarians sit on the year-round planning group, and the Rotary Club of St. John’s Northwest offers its name and its organizational and fiscal oversight expertise to this initiative, contributing to the growth and development of the Province’ rich music culture.